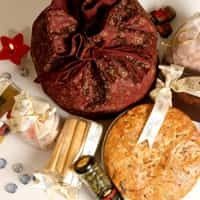 Combine preserves and cheeses, aromatherapy oils and cookies, deli meats and wines or stick to an all-fruit basket or a platter of chocolate. When it comes to gift hampers, giving is only half the fun, the real kick comes with deciding what goes in. By doing the rounds of the best on offer in the Capital and Mumbai, we’ve done some of the work for you; now all you have to do is pick the best basket. Patchi is renowned for its decorative items, so give your chocolate platter a trimming of Ganesha figurines or the Diwali-inspired diya. 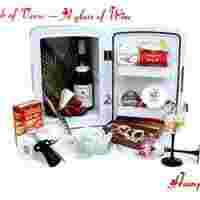 The fridge includes lots of goodies such as caviar, foie gras, the wine of your choice, glasses and a corkscrew. There is also La Fete de Mer—a seafood hamper of fresh oysters, lobster, crabs, shrimps and wasabi sauce on a reusable glass platter. Other gift ideas are a tea hamper (with a breakfast-in-bed tray), a coffee hamper and a picnic hamper. They even have an elegant “wine box"—a bottle of Chardonnay 2004, Michel Larouche SOF or a Merlot VDP D’OC 2003, Larouche SOF with two glasses—for Rs2,139. There’s also a maple wood Screwpull limited-edition cigar box with wine and cigar accessories and a humidor compartment for Rs19,130. Plus they have gifts of Le Creuset cookware, Lindt chocolates and a Tea Taster set. The Oberoi Gourmet Shoppe has three different-sized hampers on offer—small, medium and large. 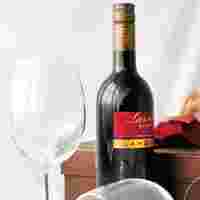 The hamper from the Oberoi Gourmet Shoppe, Mumbai has beauty and spa products and goodies like wine and nuts too. 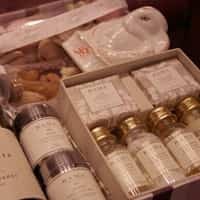 Each has varying quantities of a combination of therapeutic oils from the Oberoi Spa, Kama Ayurveda beauty products such as soaps and masks, assorted macaroons and nuts, a Ganesha tea box, and wine. 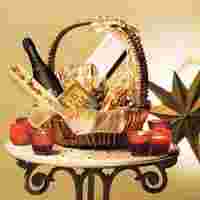 The cost of the medium-sized goodie basket is Rs4,000, while the large combination is for Rs6,000. Sweets, lights and aroma are the theme of the Diwali basket that’s on offer at this Grand Hyatt outlet. 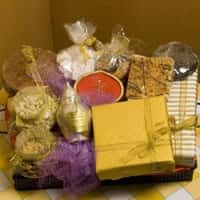 The hamper comes with ethnic toran, sparklers, incense sticks and diyas, offset by a choice of chocolates, mithai and dry fruits, all combined in a traditionally outfitted basket that costs Rs2,750. 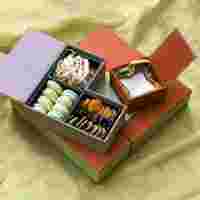 Traditional Diwali items such as diyas, salted nuts and mithai (can be replaced with chocolates) are combined with items such as assorted chocolate truffles, sesame grissini, apricot jam and coconut cookies, fig and almond tarte, marble cake and raspberry macaroons. Choose from four sizes, the smallest is for Rs1,250, plus taxes, while the largest costs Rs2,600, plus taxes. A bottle of sparkling wine, olives, assorted Indian sweets (which can be replaced), Brazil nut chocolates, exotic tea and a Ganesh box are the other ingredients. 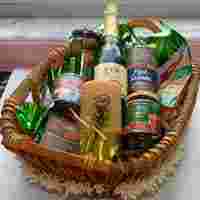 You have the option of customizing the hampers and can even order sugar-free goodies (in advance). 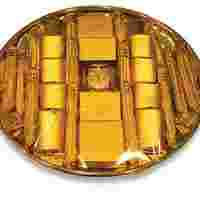 The hampers are priced at Rs3,000, plus taxes, and Rs3,500, plus taxes (you get whisky in a golf ball with this one). If only chocolates is not your idea of a Diwali hamper, opt for a mix of Swiss chocolates, cookies, brandied date cake, and vanilla marshmallows in a leather basket or a cloth potli hamper, which start at Rs1,750, including service tax.